This week on Friday I have been working on my Maths for the Must Do Task List. As you can see I have made a 3D cube. 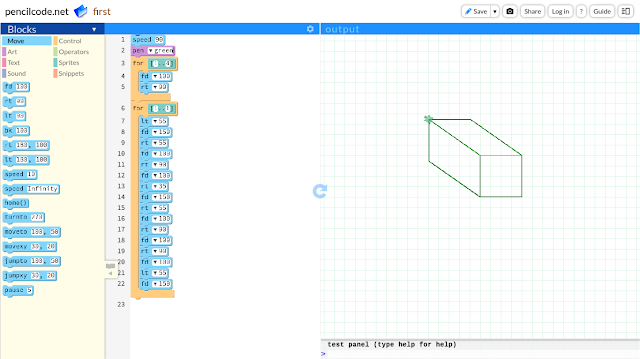 The site I used to make this 3D shape was Pencil Code Net. This was quiet hard because I was coding and I had to think how much meters left or right had to go. I got help from Matthew and Chris because they were helping me coding. This week on Thursday I have been working on my Kiwi Can post for the Must Do Task List. Today I have made a Kiwi Can post. 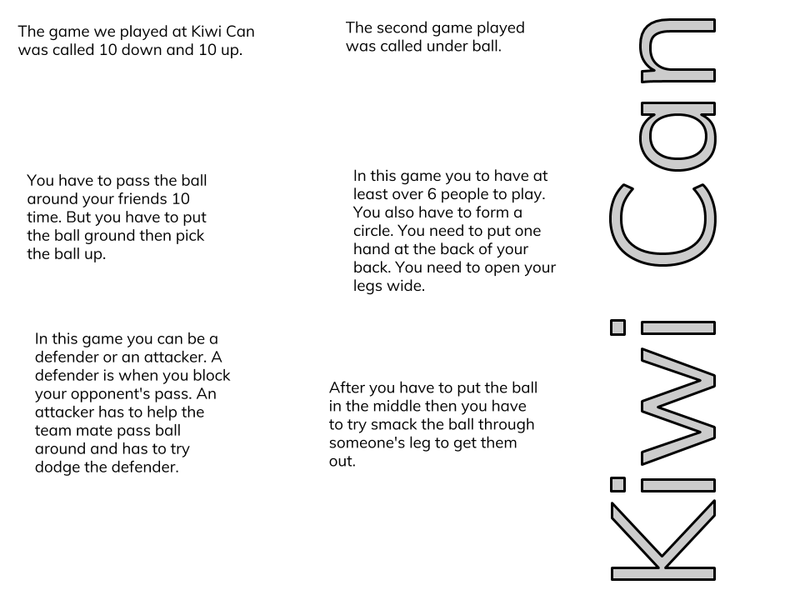 At Kiwi Can we played three games, at kiwi can our team bated the other team. The person I got help from to learn the rules of each game was Te Pounamu. This week on Thursday I have been working on my Blog Commenting for the Must Do Task List. As you can see I have commented on Jack because his work is well written. This week on Wednesday I have been working on my Can Dos for the Must Do Task List. 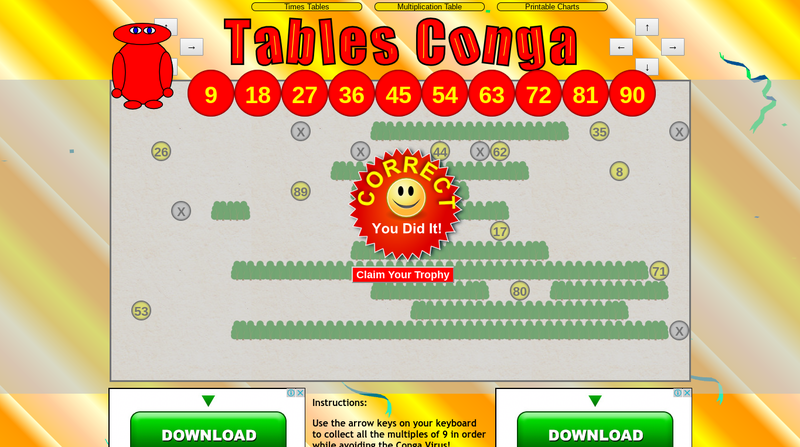 As you can see I have taken 2 photos to prove that I played Tables conga. The first photo was when I failed because there was too many of the xes. The second photos is when I completed the table conga. This week on Wednesday I have been working on my daily 6 for the Must Do Task List. Today I was practising my key board drills which is a document that has random words on, you have to copy each and one of those words. But you have to put your index fingers on the 2 main key letters centred in the middle which is J and F. This is tricky but once you keep and typing while putting your index fingers on the 2 main letter you will type faster, but first you need to get used to putting your index fingers on the 2 main letters and type.The thing I found hard was to type while putting my index fingers on the 2 main letters. The thing I found easy was to take my time while typing and getting no mistakes. I learnt that the 2 main key boards are F and J. This week on Monday I have been working on my Reading. Since there was no Must Do Task List for Reading, I just blogged this just so that people can understand what to do properly for writing. As you can see there is a link that leads to a site called Flip Grid which is a site where you can create perfect videos. 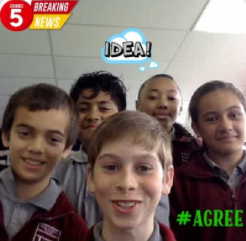 As a group we created a video and talked about Kate Sheppard. The people in my group were Jack, Alex Victoria and Nyjah. The reason why I worked with was because Mr O sent us to work together but in a ordinary group. 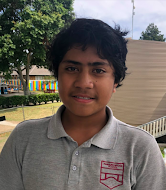 This week for inquiry I had to get into a group, in that group we had to make a video, storyboard or animation for each of the four walls of hauora. We did three videos and one storyboard, also if you didn't know the four walls are; Taha Tinana (Physical), (Mental & Emotional), (Spiritual) and (Social). To do these videos and the storyboard we used wevideo and storyboard that, we also used google documents to write down our ideas for the videos although most of the time we didn't stick to the script. This week on Thursday I have been working on my Writing for the Must Do Task List. 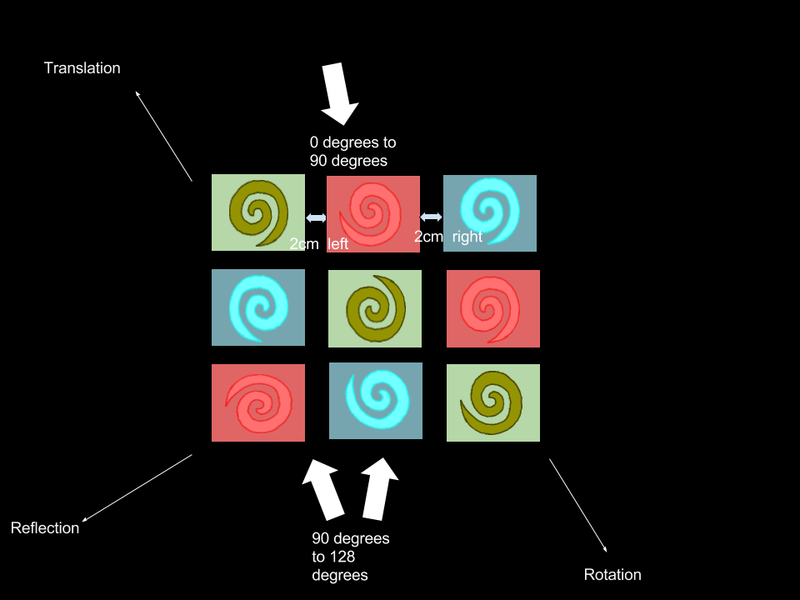 Today I made a diagram on a site called Coggle. As you can see my topic is in the middle of the coggle PNG picture. My topic was about Why there should only be no Junk food at school, As I blog this Diagram I also give credit to Jack who helped me a lot with this diagram and put in details into this. This week on Friday I have been working on my Maths for the Must Do Task List. Today I had to choose a piece of art. The piece of art I chose was a Koru which is a Maori Traditional thing. I reflected some of these Koru and I just left some normal. This was quiet hard but I gave it a go and I was proud of my work. 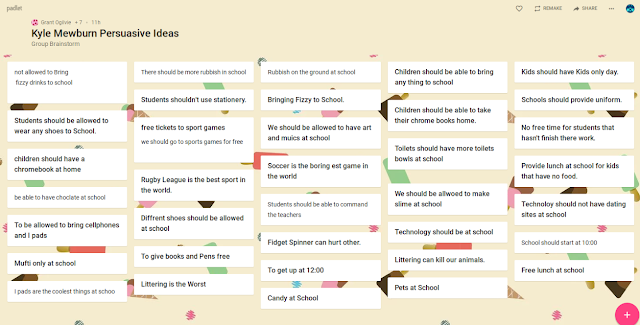 This week on Friday I have been working on my Inquiry for the Must Do Task List. Today I was moving text boxes which had sentence and I had to put them in the right order of the 4 walls of Hauora. I got on this by going on Learning Space One Site, As you can see I got my work checked by Mr O and I got all of my work finished. I worked with Aung Naing as a partner for this Task because I knew that he would finish is work and concentrate hard. This week on Thursday I have been working on my daily 6 for the Must Do Task List. 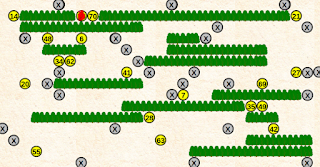 Today I was practising my typing on Key Board Drill which is from a link on the Daily 6 site. The main letters for the key board is J and F because they are 2 meters away from each other which means it is nearly centred to the middle. I got help from Jack for helping me form my hands in the right positions. This week on Thursday I have been working on my Writing for the Must Do Task List. Today I had to go on Learning Space One Site then Click on the link which goes to a site that you make a brain storm. I worked with my normal group Kyle Mew burn and we made up lots of ideas to persuade some ones point of view. One of my ideas were to command the teachers. We also had to go on Writing site and click on the document link and you have to fill up the spaces to change someones point of view, we also had to make 3 other document to change someone point of view. My argument: We should not eat Junk. How will you greet your audience? How will you introduce your topic in a catchy way? I think that students at school should always only be able to bring Healthy Food, and as you can see I think it will be known and this is why. Audiences do you think your children will get healthy if they eat too much Junk or do you think your children get fitter if they eat healthy food. Today I have a special reasons to back me up, If you have healthy lunch then you can get smarter and fitter. Healthy food is good for children. Healthy food is also the key to life. Healthy food can make you get fitter by not getting fatter by Junk food. If you have problems and can’t stop eating Junk food then try to eat healthy food so you can get used to eating healthy and then your be inspired by healthy food. Say your opinion again and warn the audience what will happen if they don’t agree with your opinion. If you don’t eat healthy food then you can get fatter and you can get unhealthy. If you eat too much Junk then you can end up with diabetes or heart diseases. My argument: We should bring the price down to cheap! Today I am going to tell you why we should make things cheaper. So you should make things cheaper and you’ll see why. Why would we make our store things expensive is it for money or do you want to make store things cheaper for the best of best. Did you know that it's not fair for other people to get expensive stuff. Did you know that once everything is expensive in a store then no one will want to buy stuff from that store. If you want to make more money then try make things fair by cutting the expensive to cheap. Did you know that you should care about people because some people out there in the world are poor and all you do is make the shops expensive for them to buy stuff. My argument: We should not bring trees down. I think we should not cut trees because it is nature and if you want to learn now what happens if you keep cutting trees then read this in a free time of yours. Do you think we should cut trees. Or do you think we should save the nature by not cutting trees. Did you know trees can help blow breeze air if you are hot. Trees are important because if there is no trees then there will be oxygen which means everyone's gonna die. If you cut trees for paper and those kind of stuff just to get money, try to worry about people and kids because it not fair for others to get no oxygen by cutting trees. If you cut lot of trees down then there might not be a existence of tree seeds which can lead to my other reason which means you can die, then there might be no existence of life or human or animals in earth. This week on Wednesday I have been working on my Reading for the Must Do Task List. 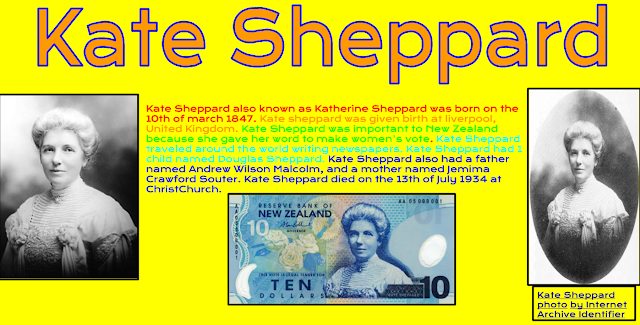 As you can see I have made a poster that has information about Kate Sheppard and has photos of her. What I did was to make a poster filled with information about Kate Sheppard which is what I did correctly. I also attributed a photo which could not come up with the Domain, Did you know that Kate Sheppard is on our $10 dollar note in New Zealand. Kate Sheppard was also important to New Zealand and you will see why on my poster that I made. This week on Friday I have been working on my Inquiry for the Must Do Task List. Today I had to make a poem, as you can see I have made limerick. A limerick is a poem that is supposed to be funny, but the poem has to be 1,2,5 rhyme and 3,4 rhyme. But the 12345 still has to connect in a point. We also had to pick a emotion. I got help from Chris, Julian and Alex because they were in my group.